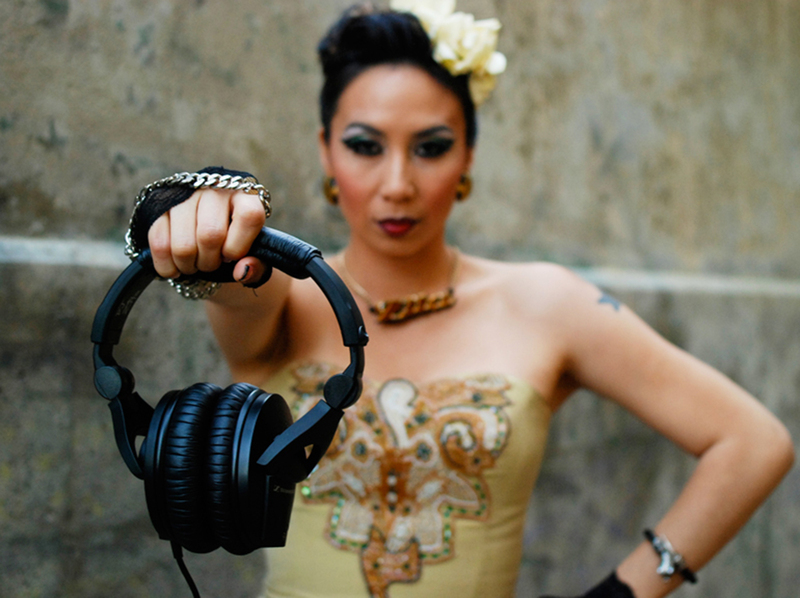 A staple in the Bay Area for over 15 years, lady DJ Zita has been steadily building a DJ queendom beat by beat. Known as a party rocker, classic record provider, tireless promoter and meticulous organizer, Zita has brought her sisterhood sounds to dancefloors on both coasts and overseas since 1999. Her captivating sound spans the eras and blends genres of body-rockin’ music; she’ll seamlessly segue from boombox classic hip hop to mothership trunk funk, spin smooth R&B treats along with timeless soul heroines and heroes, flip reggae dancehall riddims, throwback to ’80s pop and freestyle, and groove the dancefloor with her soulful deep house. At first one of only a handful of women on the scene, Zita established Bay Area Sistah Sound (BASS) and Queendom to unite women DJs and performers. She can be found holding down residencies in San Francisco and Oakland as part of DJ duo Golden Soundscapes with partner Dmadness, as well as producing fresh events spotlighting women in hip hop and guesting at many premier music nights and venues. Also find her behind the turntables at weddings, private engagements, and corporate events. She has provided the soundtrack for special events with Nike, LinkedIn, IBM, Oracle, Wix, and Bay to Breakers. With her dazzling style, fierce determination, and golden touch on the wheels, DJ Zita has changed the landscape and continues to shine. DJ Zita & DJ Q-Bert in Honolulu, Hawaii.